There is a broad area of elevated to critical fire weather risk in the southwest for today. 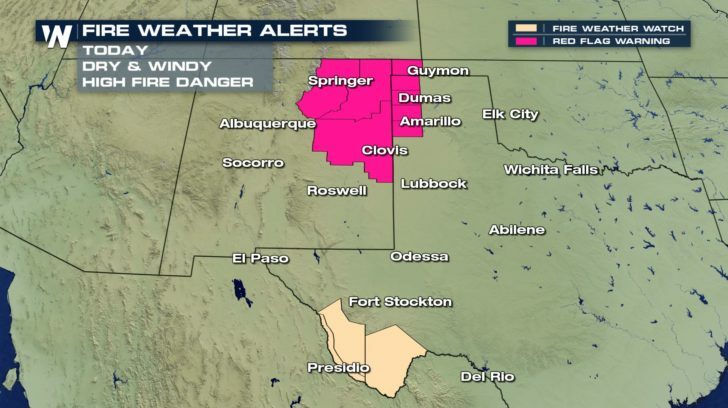 Red flag warnings will also be in effect for New Mexico, Texas, and Oklahoma. 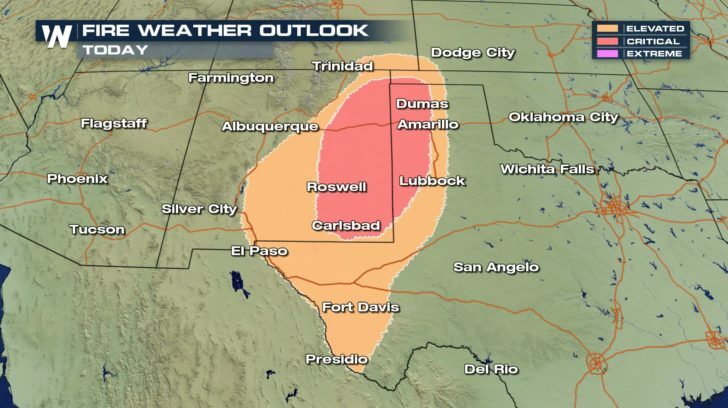 A fire weather watch will be in effect for areas near Presidio, Texas. Winds will be picking up today, ranging anywhere from 20 to 35 mph. Gusts will range anywhere from 40 to 50 mph. 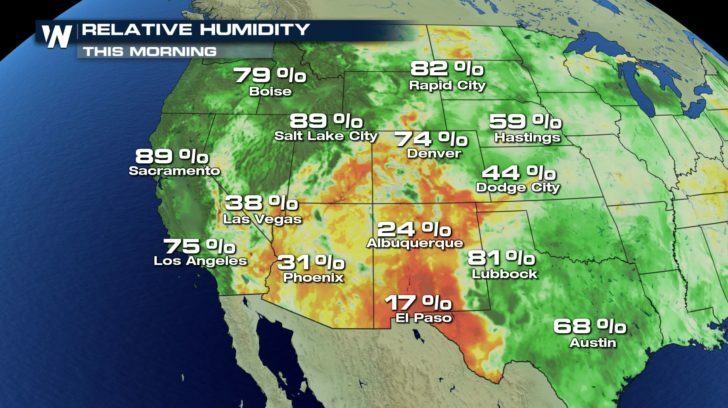 Relative humidity started off very low this morning and will continue to drop. During the afternoon, will see the relative humidity reach 10 to 15 percent. This means we are looking at very dry conditions. With gusty winds and dry conditions in the forecast, this will make it very easy for fires spread. 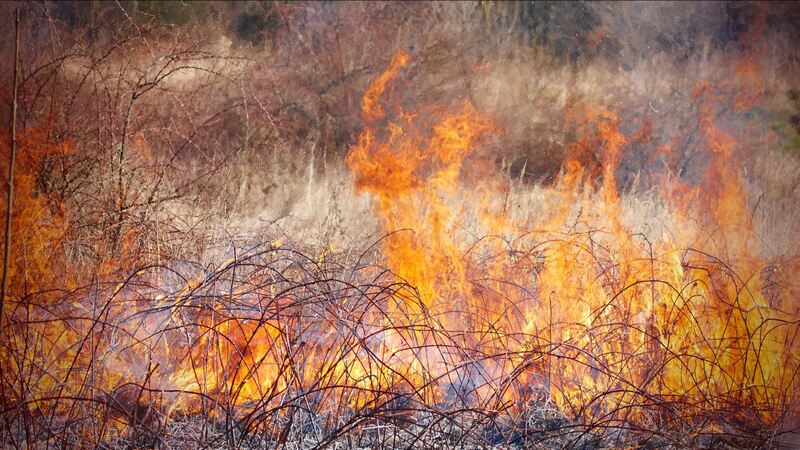 Any outdoor burning or activities that can cause sparks or flames are highly discouraged.